We met at a small coffee shop in Ghent, Norfolk. If you haven’t been to The Cure Coffee House and you are in Hampton Roads… You are missing out. This quaint coffee shop was the perfect backdrop for our first meeting. I was a little nervous because Stephanie’s wedding was one week away and this was our first meeting. Sure we spoke over the phone and she booked with us… but that relationship that I normally have with brides hadn’t been formed just yet. Once Stephanie arrived… I felt like we were old friends just catching up. Seriously this girl could make anyone feel at ease! She began telling me about her & Paul and their relationship. She mentioned when they first met he sent her a Facebook message simply saying ” she was fun “. This did not sit well with Stephanie. She didn’t want to be the girl that was fun. However, I do understand what Paul meant by that simple statement. He meant that her smile could seriously light up any room. Her presence is able to put anyone at ease. Being around her makes you feel comfortable and confident. She makes you laugh and she can even laugh at herself. She knows how to have fun and brings along anyone around her for the ride. There are not many with this gift. And yes this is a gift. Paul saw it right away and he fell in love. So Steph… being fun is definitely not something to be ashamed of! It is a gift that God has given you and a gift many wish they had! 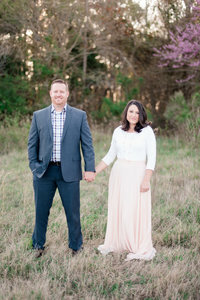 Their wedding took place on the beautiful MeadowBrook Farm Bed & Breakfast in Suffolk, VA. They really put their love and time into planning and decorating. Stephanie collected china pieces from all over for the past year and each piece was used as her guests plate setting. Paul built her a bench that was her wedding present from him. This bench was used as their guest book. Everything was absolutely stunning as well as meaningful. I loved that everyone had the same things to say about these two. You could tell that they are both truly loved and mean a lot to their friends and family. Thank-you Paul & Stephanie for letting us be apart of your day. It was absolutely beautiful and very inspiring! We love that God is centered in your lives and we know that He has great plans for you both! Killed it! The emotion mixed with the drama of your aerial work…amazing!! This is beautiful! Wonderful job capturing memories for this awesome couple.